On June 20, 1987, the Turkish government officially recognized the discovery of the remains of Noah’s Ark in eastern Turkey with the dedication of Noah’s Ark National Park. Nashvillian Ron Wyatt, an amateur archaeologist, was guest of honour at the ceremony, credited as the “discoverer” because it was his persistence throughout the years which finally resulted in the evidence which convinced the Turkish authorities of the authenticity of the site. Ron didn’t “discover” the site. He read about it in a 1960 “Life Magazine” article which told of an American archaeological team that investigated the site in 1960 and pronounced it “of no archaeological interest.” This article led to his profound belief that the site “most likely” contained the remains of Noah’s Ark, a belief which was confirmed 17 years later when he first saw it in person. An anesthetist by vocation, Ron became interested in archaeology, history and all the sciences at the age of 15 and, through the years, read everything he could get his hands on concerning these subjects. His ventures into actual field work in the Middle East began in 1977, when his 3 children (whom he raised alone) were into their teens. His interest in archaeology was the direct result of his profound belief in the total accuracy of the Biblical account. Curiosity and the belief that evidences of certain Biblical events were most likely still in existence led to his ventures into “the field”. His own study had led him to conclude that many of the commonly accepted locations of Biblical sites were incorrect. Since that 1977 trip to Turkey, Ron has made well over 100 trips to the Middle East, working in Turkey, Israel, Egypt and Saudi Arabia. In addition to Noah’s Ark, in 1978 he found the site of the Red Sea crossing with chariot remains on the sea floor; in 1984 he found the real Mt.Sinai in northwestern Saudi Arabia (Midian) which still contains the altar at the foot of the mountain, the Golden Calf altar, and so much more. He found 5 ashen cities – Sodom & Gomorrah being the most famous – which were permeated throughout with roundish balls of sulphur which were once on fire; and in 1982 he found the Ark of the Covenant in a chamber many feet below the present ground level – the only claim which he is unable to substantiate at this time due to restrictions placed on him by the authorities, but which he believes he will be able to make public in the future. He has also made other discoveries. He has not sought the “approval” of “educated” scientists and archaeologists, but presents the evidence to those who are interested, that they may make their own decision. For this reason, he is severely criticized by the academic community, some of whom have fought vehemently to discredit both Ron and the evidences. However, Ron is of belief that God would not preserve evidences of the Truth of His Word, the Bible, which would have to be “interpreted” or verified by others. Ron never sought publicity and preferred to work quietly. However, over the years, his “misadventures” have many times placed him in the headlines, such as in 1984 when he and his sons were imprisoned in Saudi Arabia for 3 months after being accused of being Israeli spies; and in 1991 when he and his team were taken hostage in eastern Turkey for 21 days. 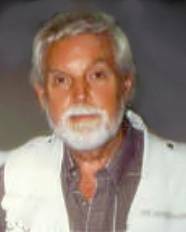 In 1993, he formed “Wyatt Archaeological Research”, a non-profit, non-denominational organization dedicated to making these discoveries available in books and videos to “those that ask”. “W.A.R.” has provided publications and videos to missionaries of almost every denomination who are sharing the discoveries in almost every country of the globe. Ron has appeared on: CNN, ABC’s “20/20”, GOOD MORNING AMERICA, CBS MORNING NEWS, NIGHTLINE, THE DISCOVERY CHANNEL, BBC, Japan’s “NIPPON NETWORK”, THE VOICE OF AMERICA (from Cairo), TBN & much, much more. He firmly believed that these remains have all been preserved and hidden by the Hand of God until this time in earth’s history to provide evidence of His Truth in the last days. Why was Ron “chosen” to make all these discoveries? He believed that it was humanly “impossible” for one person to find all of these discoveries, no matter how “smart” or “educated” they may be, and therefore, in using someone average and without “professional” training, God ensured that people would know that these discoveries are “of God” and not man. And although some “leaders” and “educated men” have fought to keep these evidences from the World, the discoveries are daily accomplishing the work that the Lord meant for them to. The simplicity of the evidences of each discovery doesn’t require that anyone seek out the “experts” to tell them if it is real or not. Sadly Ron died on August 5 1999. His only desire was to bring people to Salvation, to Jesus Christ. He would always stress the importance of becoming a follower of Jesus Christ and obeying His Commandments. Ron was a devout Bible student & a extremely humble man. WAS HE JUST AN AMATEUR? Some of the world’s great archaeological discoveries have been made by amateurs. When Henrich Schliemann said he’d discovered Troy, the scientific community snubbed him for years! And there was John Lloyd Stephens who discovered wondrous things among the Mayan ruins of Central America. Another amateur. It was Champollion the “amateur” who got Egyptology going! One could say that our knowledge had deepened more through the efforts of amateurs like Fawcett, Schliemann and Heyerdahl, than through the efforts of franchised experts. How was it that Ron Wyatt, a so-called rank amateur, had succeeded beyond the wildest dreams of any archaeologist in history? Well…. Ron Wyatt’s work bore evidence that he was qualified by the most important degree required, the degree of COMMON SENSE!! And the only distinction he wanted was in service to others. Although Ron was not a perfect man & had his faults (but who hasn’t! ), Ron had only one concern on his mind. And this was to help bring as many people to Jesus as possible. After interviewing people who knew Ron, none could say that he was dishonest! In fact many people commented on how honest & humble this man really was. Love him or loathe him, Ron was extremely dedicated and sacrificed all that he had to bring the knowledge about these discoveries to the World.